Anela Evans sings a melodic oli (chant) atop a cliff overlooking Puu Pehe on Lanai’s south shore. She’s just come from her day job as a cultural liaison at the Four Seasons Lanai, just a short hike from here. As she sings over this dramatic vista, she still wears her formal work suit. 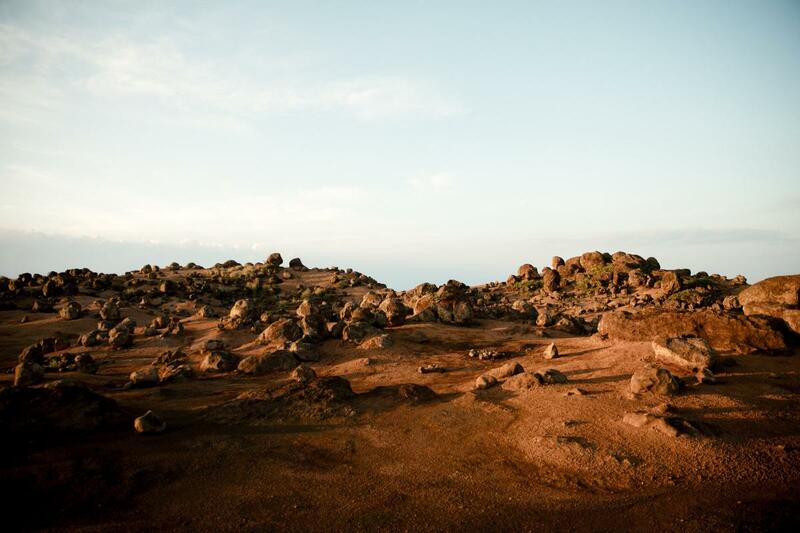 It’s a contrast that not only informs who she is, but the contradictions in Lanai itself. Evans was raised on Lanai from birth. She grew up loving the hula but also loving to hunt deer. She rode horses on Koele Ranch but also started driving on Lanai’s dirt roads at 12 years old. On these holoholo (travels) – from the breathtaking, white sands of Polihua Beach to the rocky, alien landscape of Keahiakawelo (known as The Garden of the Gods) – her father would share the legends of this small island. Even for Hawaii’s locals, not much is known about Lanai except for its Four Seasons Resort and its pineapple plantation past. But Evans wants to change that. She wants locals and visitors to ike maka, or “see with one’s own eyes” the Lanai that she loves. You spent some time away from Lanai. What made you come back? I lived away from Lanai for about 10 years and I came back because I felt that it was my responsibility to help perpetuate the culture, both the Hawaiian culture and the unique culture of Lanai and to educate people about what's so special about this island. I also felt that it's where I belong. It's where I feel most rooted and where I feel most at peace. What makes Lanai so special? 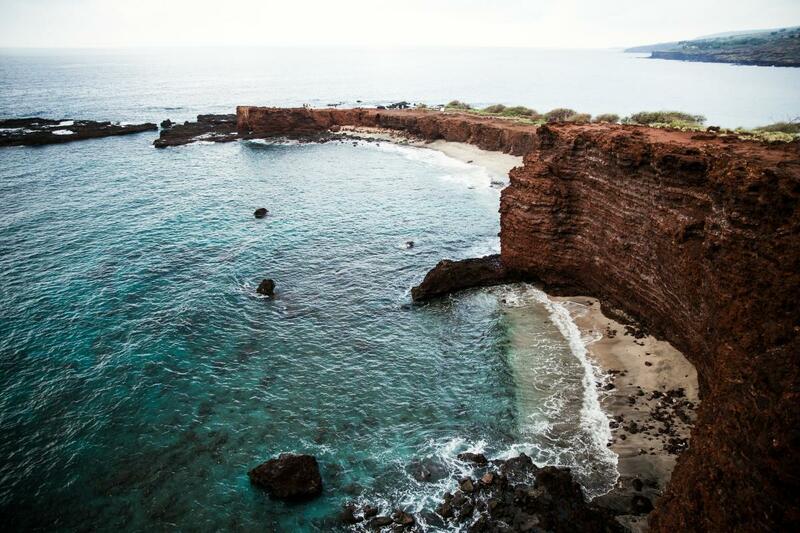 Lanai is different from other islands because there is a lot of untouched beauty. We have places where you go and you step back in time. It's what it would look like, 200, 300 years ago. The entire island is off the beaten path. Do people treat each other differently on such a small island? We used to joke because my mom would go to the store and come home two hours later – and it's just the grocery store that's three minutes down the road. It's some social hour. It's where people get their information, it's where people talk story, and I think that feeling of one big family and knowing that everybody has everybody else's best interests and has an essential goodness in their hearts, that's what makes this place so special and that's how it really embodies aloha. There was a big paniolo culture on Lanai. What is a paniolo? A paniolo is the Hawaiian word for "vaqueros" which is Spanish term for cowboy. My hanai grandpa was one of the last paniolo on Lanai. When I was a child, I wanted to grow up to be a paniolo and to be a hunter. I wanted to do all the things that my dad and my papa did, you know. That, to me, was the ideal lifestyle. You talk about wahi pana of Lanai. What does that mean? My parents would always make time to take people around and tell them the stories of Lanai, show them wahi pana, or storied and special places. When we would visit these places with my parents, I felt a connection, and as a hula dancer, that's what you want to portray, right? You want to embody these stories. So, it helped me to develop as a person and as a dancer to be able to go to these places and feel its essence. And it helps me to connect to that place as well, because I wasn't just seeing it as just another pinpoint on the map. It really brings that place to life. What are your responsibilities as a cultural liaison for Lanai? My role is – both in my professional life and in my personal life – to embody that culture and to share that experience with others. I take it seriously because to me, I'm not only representing myself, I'm representing all of those people that came before me. There's a saying in Hawaiian where you have to look to the past in order to move forward. So I really feel like preserving and perpetuating the culture and the essence of Lanai is really my responsibility. It's a role I was born into.